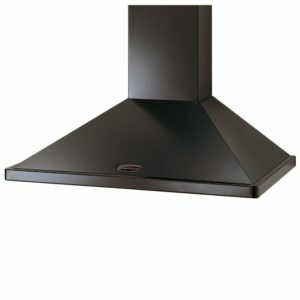 Get ready to make an impression with this outstanding black glass Cube design extractor from Neff. 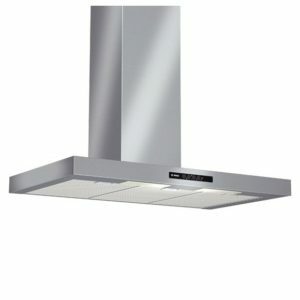 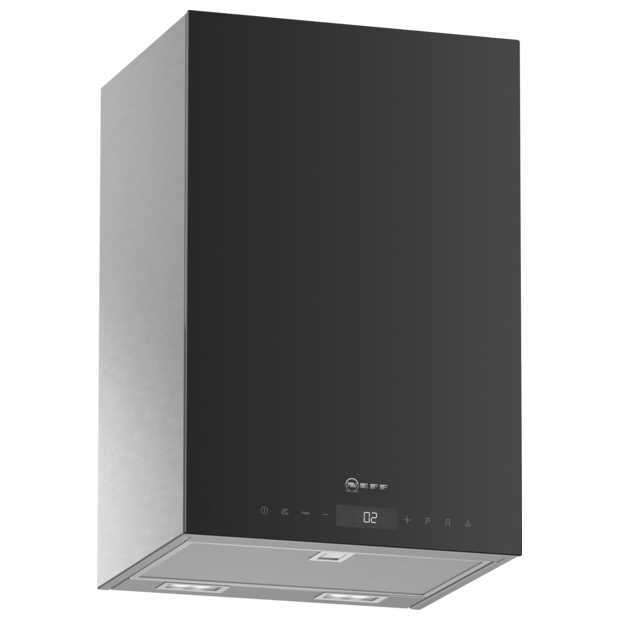 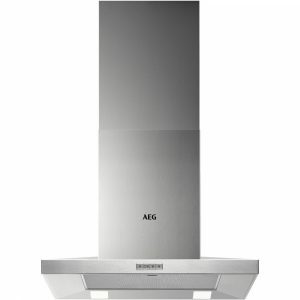 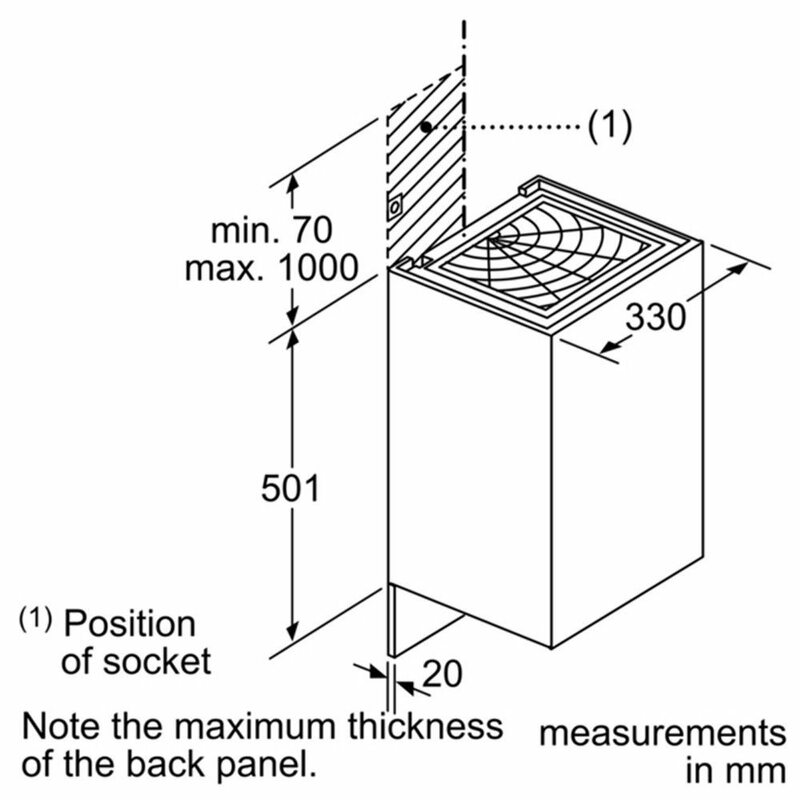 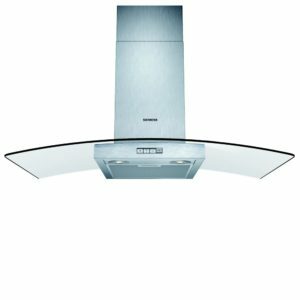 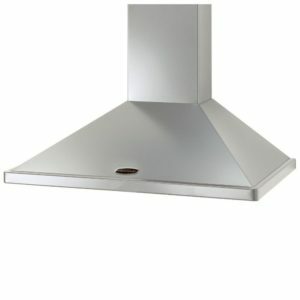 Not just attractive but packed with features to make it more than just a chimney hood. 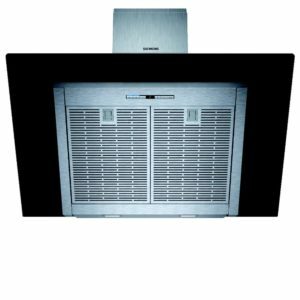 Easy to use touch controls and LED displays make the 3 power settings and 2 intensive modes easy to use. 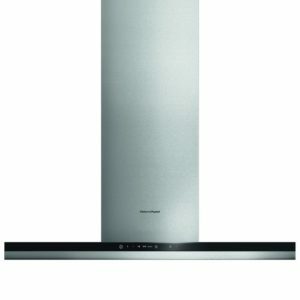 All propelled by EfficientDrive technology, using a brushless motor for efficient power. 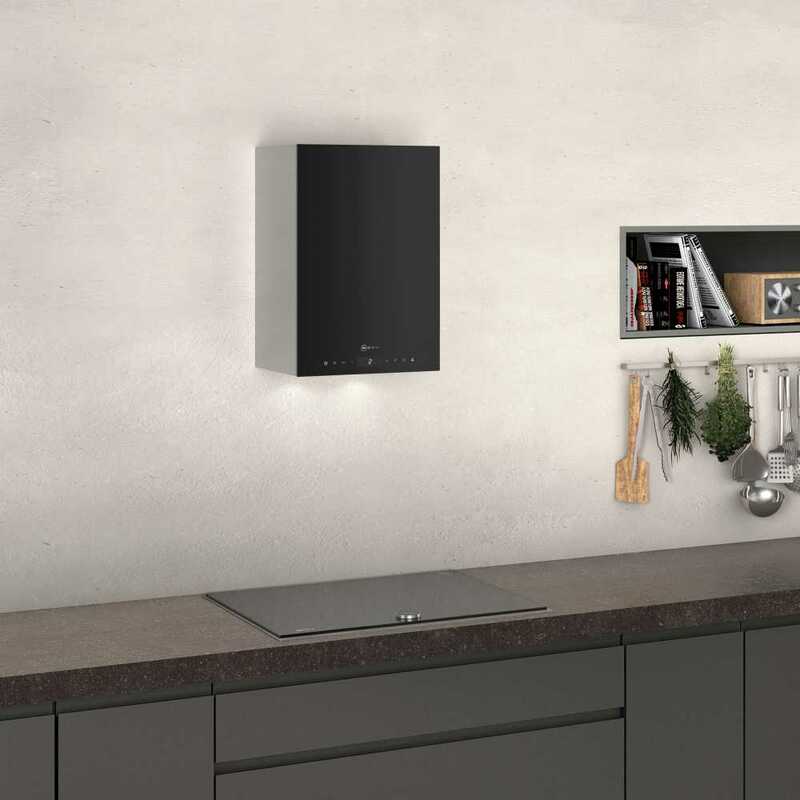 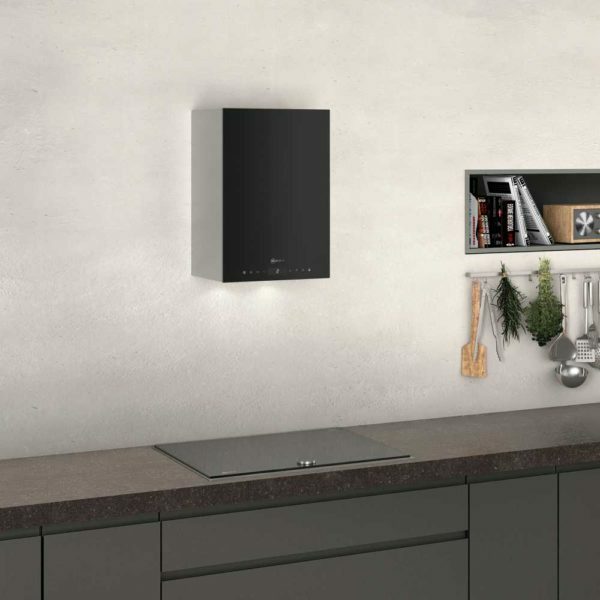 Climate Control sensors monitor steam to automatically adjust the power, and with an enabled Neff hob you can let the appliances talk to each other using Hob-Hood control for even more efficient automation. Built for recirculation only it is supplied with a charcoal filter.